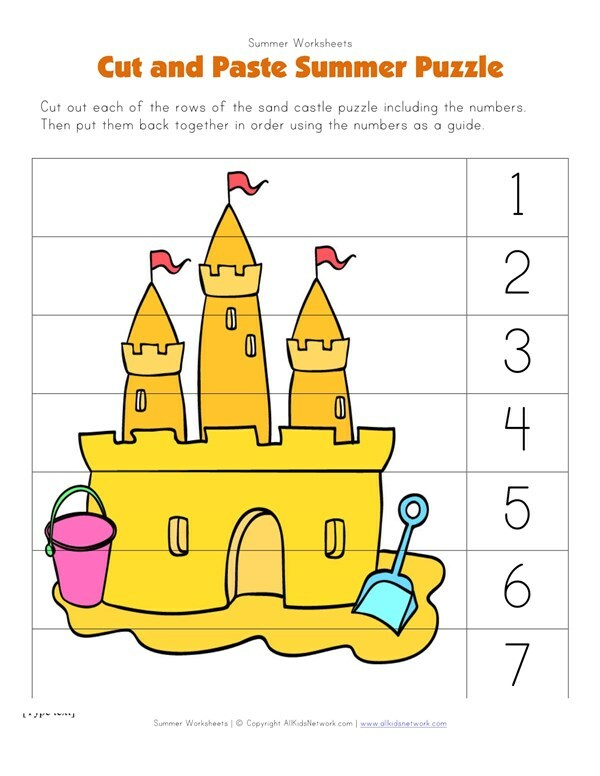 This printable summer puzzle is perfect for kids to practice fine motor skills and counting / sequencing. 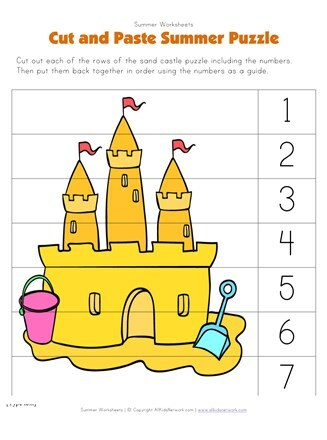 First print out the worksheet, then have kids cut along the lines to create the pieces. Each piece is numbered which will help them put it back together.